Just as sure as Christmas returns each year, another Call of Duty and Assassin's Creed game does. 2014 was no different from the years before it. One could complain about the lack of originality, but you can't deny their popularity. The AC games already hit a barrage of complaints back when AC3 was released, but thankfully they really went all in and made the ACIV: Black Flag a fantastic game. The only complaint people had was that, on PlayStation 4 and Xbox One, Black Flag seemed to be a port from a 360/PS4 game. To rectify this, Ubisoft have made two AC games for the Christmas season of 2014; Assassin's creed Rogue, a sequel to Black Flag on 360/PS3, and Unity; a brand new game built for the new PlayStation 4 and Xbox One. Unity is set before, during and after the French revolution. 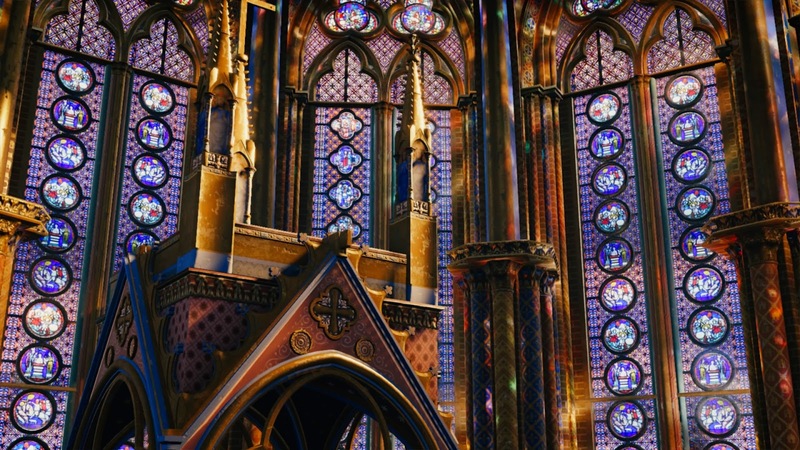 Some parts are in the Versailles, but the main game is set in the center of Paris. A really interesting setting and era in time that suits the series well. 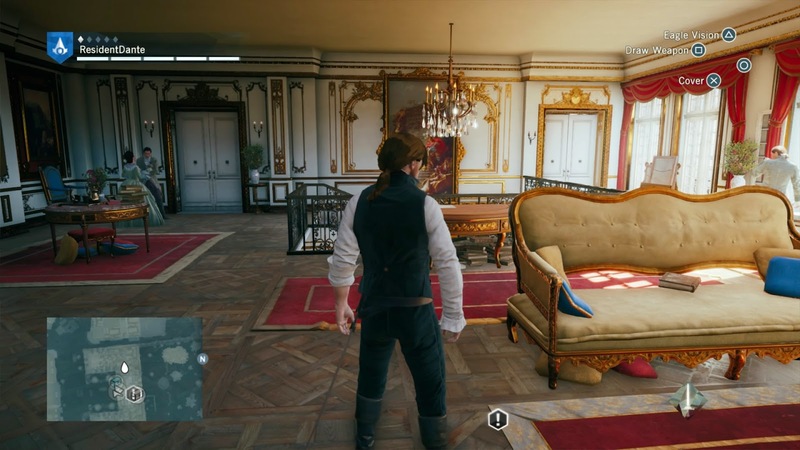 Here we follow Arno from childhood witnessing his father's assassination at the Versailles palace to his adulthood in Paris joining the assassins during the revolution. Along the way his childhood love Elise crosses his path many times during his journey to revenge his father's and Elise's father's murder. You get to meet and witness many of the famous people during this revolutionary time, including Napoleon! 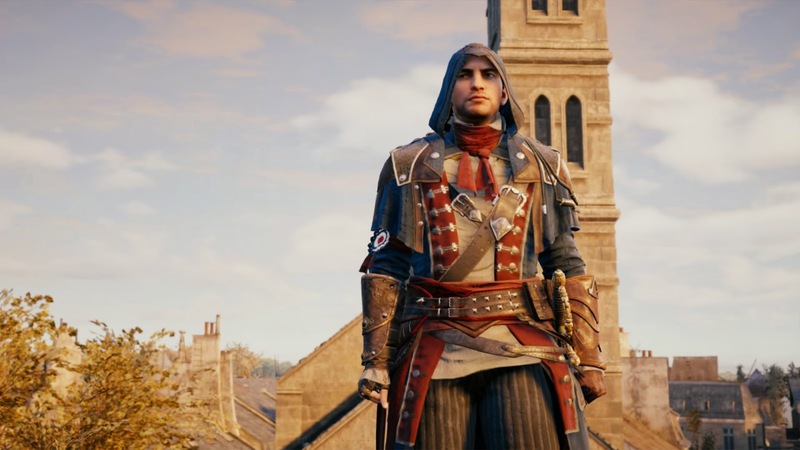 Unity is an AC game more close to AC1 and 2. Focusing on a city with missions within it. In fact Unity only has the one main city that is Paris. However the amount of detail put in it is breathtaking. 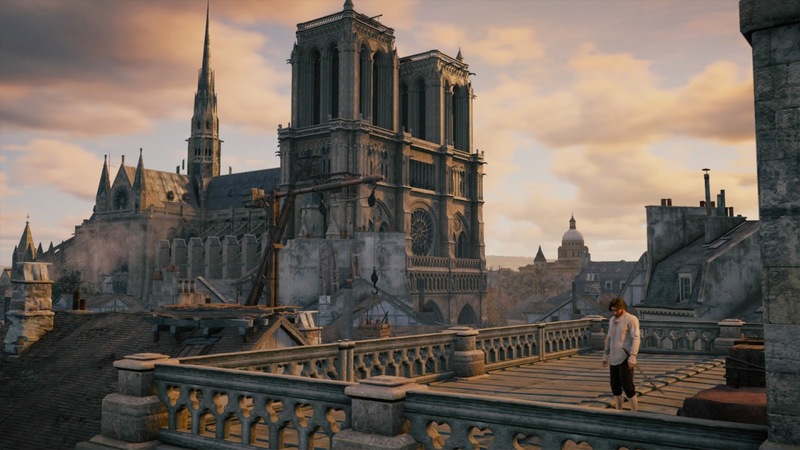 From the moment Arno escapes the Bastille and walks out on a rooftop in front of the Notre Dame the game really blows you away with how incredibly detailed it depicts Paris. Sure it runs at a 900p on consoles, but the incredible lighting, the huge crowds of people in the streets and the sheer attention to detail on the buildings is really eye opening. 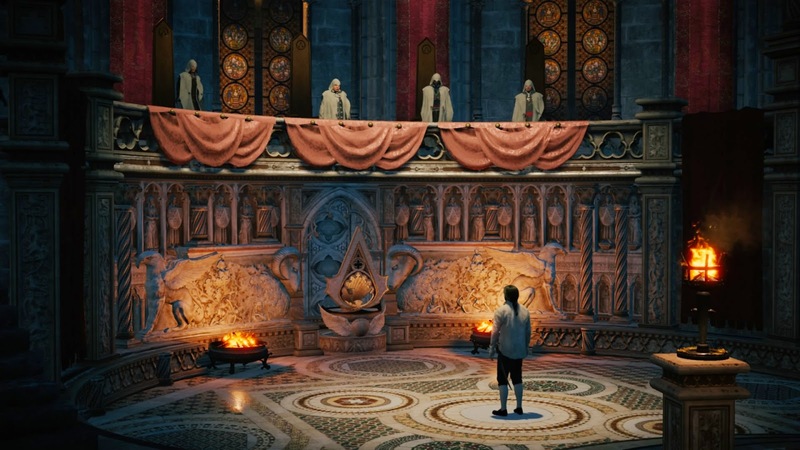 They have done a lot of work to the AC game engine and the details really shine when you have played the game a little. The interiors of buildings are especially well made for such a large sandbox game. The sun isn't always shining in Paris though, literally it can rain in the game, there are some complaints to be made. Apart from fairly frequent drops in frames in crowded areas, nothing to bothersome in my opinion, there's still that pain in the neck syndrome of loss of control. 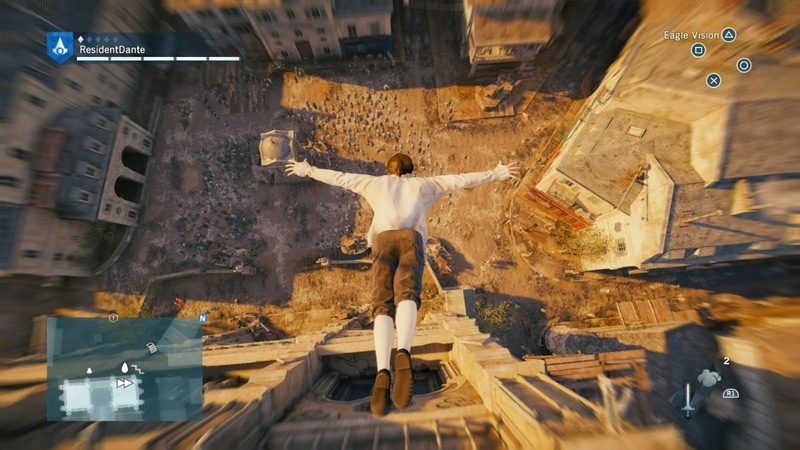 Arno, just like all the previous AC characters, will stick to everything. This is especially annoying when you are running away from angry swordsmen that wish to stick you with pointy steel objects. Can there not just be a totally separate running button, that allows the characters to simply run on ground level without perching on a barrel or fountain and simply be sitting there while the angry swordsmen are sticking you to death? It just breaks the flow completely. They need to overhal the whole movement of the character in the series, it's been due for many titles now and still Ubisoft seems to neglect looking at the problem. Storywise I found the setting of the French revolution brilliant, but within it lies a problem; it just seems to be crowds of people shouting. I'm very aware the whole revolution was a far more dramatic affair. They could have had some key moments, with cannons and firearms in the streets. The game begins dramatically ebough with the storming of the Bastille, but most of which you only witness fairly calmly from within the walls and ends immediately after you jump over the fortress walls. 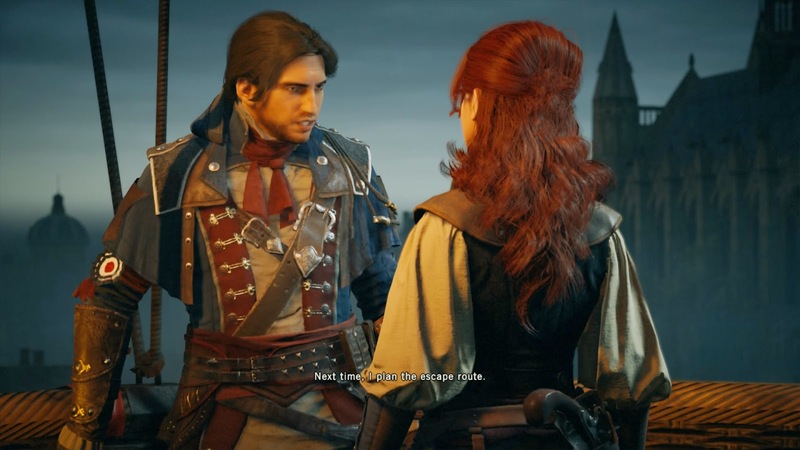 The relationship between Arno and Elisé is also very underplayed, and should have been shown more often to make the player care more about them. Although Elisé is a strong minded and great character, I felt Arno was somewhat bland. His lack of enthusiasm is somewhat stale compared to the far more outspoken Edward Kenway in ACIV. The ending of Unity feels very abrupt and is kind of a let down. The revolution is such a significant part of history and yet I felt like nothing hardly happened in this games depiction of it! 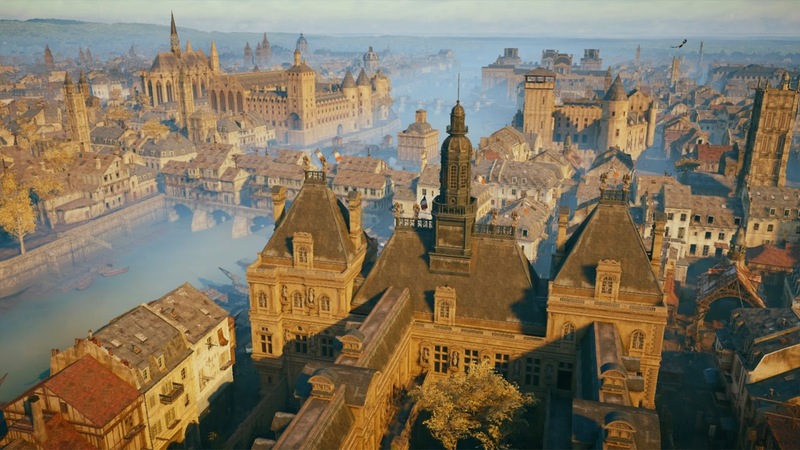 I did enjoy AC Unity, I felt it caught far more criticism than necessary, and it really shows of how detailed they can make a city come alive. I would say the ACIV Black Flag was a better and much more varied game. 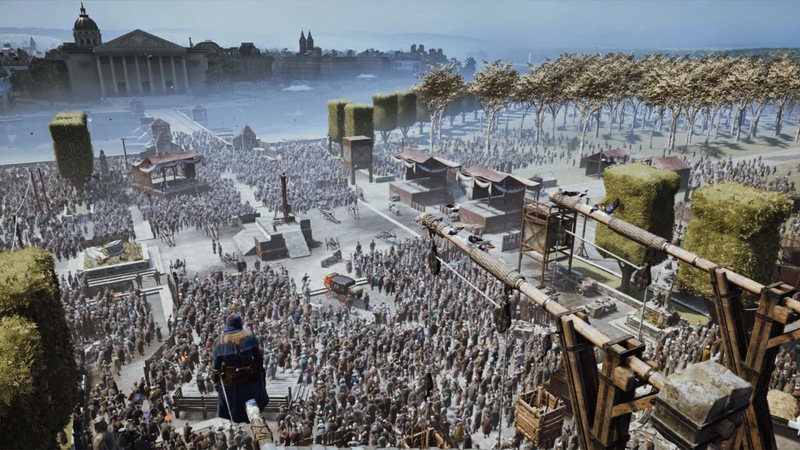 Unity goes somewhat back to the old style of the AC series, sadly without multiple cities, and as such is more direct and less overwhelming experience. The time period, choice of city and presentation throughout is indredibly well made and I definitely would recommend people to play the game. While it has it's shortcomings I feel that they can easily fix a lot of these for next year's release and hopefully avoid the negativity surrounding this game. Unity is a game that could have done with a few extra months of development, luckily buying the game now will let yo download a patch that fixes much of the earlier problems!